It's been a couple months since the incident in the first book, things have slowed down a bit, and Cal is trying to get to know his new team members and learn how to cope with the unsettling deja vu he acquired from his trip to the Eververse. But then a werewolf, a wizard, and a former mayor are murdered, causing the different supernatural factions to start blaming each other, and it's up to the DSI (Department of Supernatural Investigations) to solve the case and keep the factions from starting a war with each other. It seems like there’s a lot of urban fantasy out there with male protagonists who are snarky and gritty and rough. Their favorite pastimes are drinking and gambling and smoking. They ain’t got no time or desire for romance or friendship. They’re always running around with machetes strapped to their thighs and their guns ablazin’. 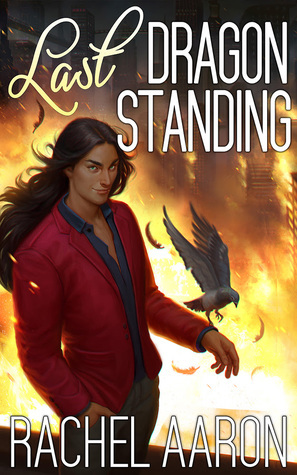 What I love so much about this series though is that it’s pure urban fantasy with a fun, snarky male protagonist, but he’s not quite so rough around the edges—he’s real and relatable. He’s a normal person, like you and me, he has struggles and emotions, but he just so happens to fight supernatural creatures for a living. And those fights with supernatural creatures do affect him mentally, just like they would any normal person. And even though he may not be ready to settle down into serious commitment, he’s not a misanthrope either and has people in his life he cares about and has relationships with. 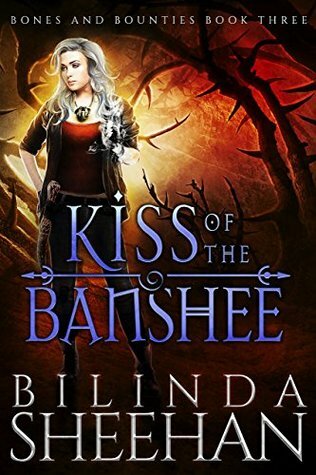 But I gotta say, even though another one of the things I like about this series is the way the author doesn’t avoid the blood and gore, for once I’m actually glad an author didn’t go into all the gritty and gruesome details and instead skipped over some parts because I don’t think I could’ve handled some of what happened in this book. It was… wow. Awful. Torture. Legitimate, actual torture. Cal was still cracking the occasional joke in his mind because that was how he coped, but I couldn’t laugh until it was over. The poor guy already had PTSD and panic attacks and nightmares from all his previous trauma, so that definitely didn’t help. I actually shed a tear a few times just imagining how horrible it must have been and must still be for Cal, like when he told the story to everyone and when Desmond, Ella, and Cooper told him how worried they had been. Once again though, even though all the horrific details weren’t present, Cal’s (and everyone’s) injuries were still realistic; he felt exhausted and sore, he needed time to heal, etc., and I loved that because that is something so many books are lacking. Including realistic injuries goes a long way in making the whole book feel so much more realistic. I also liked how everyone mattered, at least to Cal (and the author, I suppose). For example, someone died who Cal didn’t know, he was just on a scouting team or something, but he had a name, and Cal made sure to learn and mention his name. Anyway, once I got into this story, I didn’t want to stop reading. The plot was gripping, I wanted to know what would happen to Cal and if he’d be ok and how he’d handle things, and it was just overall another great, action-packed book in the series. It even had a bit more emotion and really touching friendships among the team members, and Cal was just as real and likeable as he was in the first book. I’m definitely looking forward to the next! Fans of Book 1 in Clara Coulson's City of Crows Series. Anyone who likes action-packed urban fantasy, supernatural creatures, a hilariously snarky but also realistic and compassionate protag, and touching friendships/team dynamics. A wizard, a werewolf, and a watchmaker walk into a bar…and don’t come out alive. Two months after the infamous Etruscan Incident, it’s back to normal for DSI—as normal as life can be when you hunt monsters on a salary. The rest of Nick Riker’s elite team has finally returned from France. Cooper Lee has healed from his nightmare trip to the Eververse. The remnants of the battles with Charun and Tuchulcha have been swept under the rug. And the exploding boathouse in Holden Park has (almost) been rebuilt. Until a grisly triple murder in one of the city’s most popular bars destroys the delicate balance between three powerful forces. A high-ranking werewolf, a seasoned wizard, and a former mayor turned watchmaker wind up in body bags, and their deaths pit the ICM, DSI, and Aurora’s Wolf community against each other in a blame game of epic proportions. And as the accusations spiral out of control, threatening a supernatural war on Aurora’s streets, it’s up to Riker’s team to keep the peace before blood stains the sidewalks. Meanwhile, Cal is struggling to overcome the consequences of his trip to the Etruscan Underworld. Haunted by visions of the future in the form of disorienting déjà vu, he’s terrified he’ll fail his team at crucial moments. But with the threat of violent riots hanging in the air, Cal has no choice but to power through and pray for the best. Have you read Shade Chaser by Clara Coulson? Have you ever read about any urban fantasy characters who have PTSD from their supernatural encounters? It’s a great series if you like supernatural books! I definitely recommend this series if it sounds like your kinda thing! Cal is a great protag and always cracks me up. Barb (boxermommyreads) recently posted: TTT - First-Half of 2017 New Releases I Want Now! Haha I think you’ll like this character. Oh goodness I just saw your name, I thought you were someone new lol. Why are you confusing me with a different blog?! What’s going on?! Dragonfly recently posted: What to read in 2017? Lol yeah I just saw Dragonfly and the blog URL and my mind never even looked at the rest until after I commented. I’ll go check out the message in a bit! I was looking forward to read your review of this one after I saw you got it in your in recap post. I mostly have read urban fantasy with a female protagonist, so I didn’t notice that trend as much, although it is something that also happens with female characters. It is nice to have a character who is real and relatable. And after your comment about you were happy the author skipped over some things, I agree, I don’t think this would be a series for me. I mean if you are happy the author skipped over things it must be really bad as you usually don’t mind the dark stuff as much. I agree it’s nice when details like needing time to heal are well done. It adds to the realism. Glad to hear you enjoyed this one! It is nice to have a character who’s real and relatable since yeah, both genders tend to get unrealistic sometimes in urban fantasy. Haha exactly. You know that if even I thought it was bad, it must be bad. I love so much how realistic the injuries are because it’s such a small thing but almost no book ever does it realistically, and that always bothers me. Thanks! Isn’t it strange to talk about realism in an urban fanasty? But those elements totally make a book work especially when it comes to the tough things like PTSD. I was just writing a review yesterday in which I said something about how everything was super realistic… except for the fantasy parts of course lol. But especially with urban fantasy, it’s set in our normal world, you know? So it’s important for all the non-magic to be realistic! Haha, I don’t know why I remember that. Looking forward to your thoughts! This one is new to me, but it sounds really fantastic! I haven’t been reading many books about supernaturals these last few years and I love snark. I’m adding it to the TBR! Thanks for the great review.